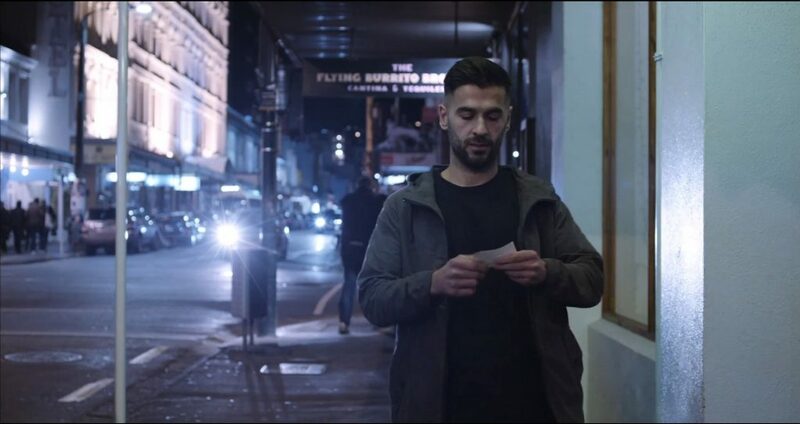 ‘Day and Night’ was shot in one day on locations around Wellington. We decided we wanted to two features of the Panasonic AU EVA-1 – the dual ISO, with the ability to capture high-quality footage in all lighting conditions, and the camera’s portability for quick setups. 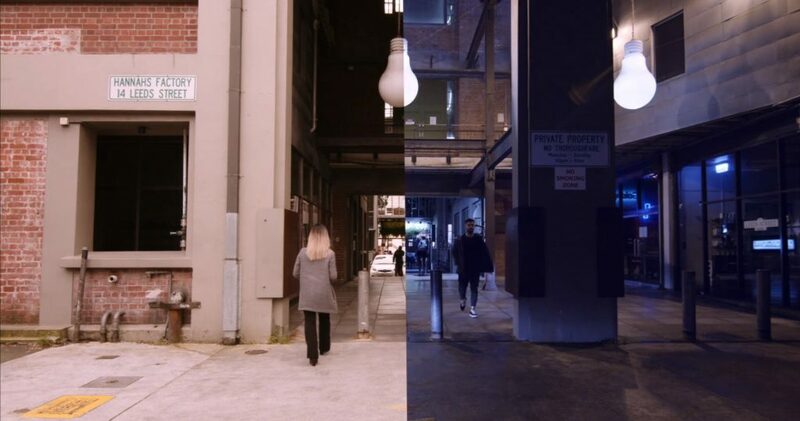 The original concept for the project was inspired by a Daniel Caesar music video, where there are two frames beside one another highlighting the same locations in different times of the day. Once editing, however, we quickly altered our vision because of framing problems in certain locations, the pace of the film and the fact that there was too much action to follow in one viewing. We found that intercutting worked much better with highlighting the different moods that this camera can get out of the same locations at different times of the day. 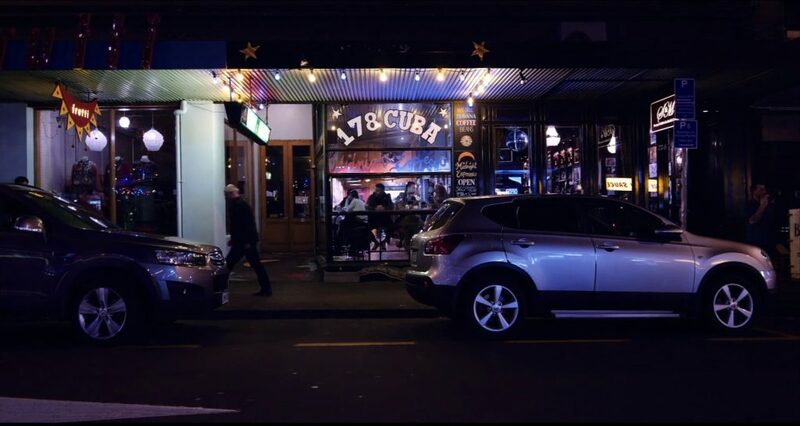 The locations were chosen to show off areas around Wellington that are active during the day and night, and locations that had interesting lights and art to make the shots more dynamic and include more color. We found one of the highlights of using the EVA1 was how the camera artificial lights seem to create a natural cinematic flare on the camera’s sensor. The shoot required revisiting locations seven hours apart for the daytime and evening shots, so storyboarding helped us ensure we matched the framing between shots. 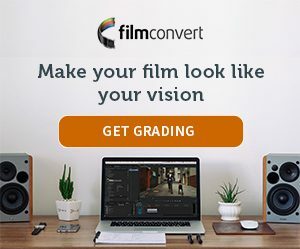 The footage really came to life in the edit when the new EVA1 camera profile from FilmConvert was applied. The authentic film emulation enhanced the tone and quality of the footage, creating an instant professional film look for the film. After spending a week with the EVA1, we would highly recommend this camera in particular for small film crews on the move, such as documentary filmmakers. The mobility of the camera allows for hours of filming without strain, as well as not having to rely on heavy lighting equipment to get the shot you need.